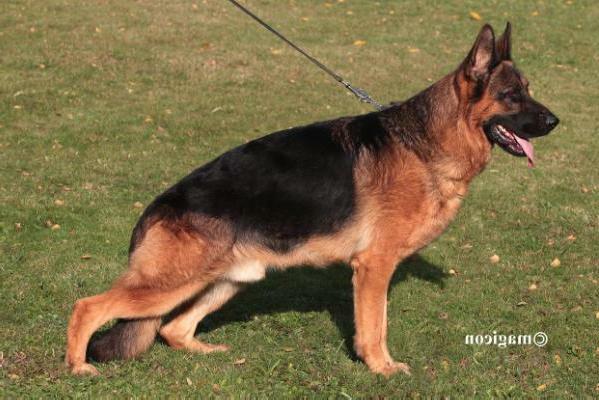 Dog Profile: Ghurgha vom Haus Sanesta (Georgia) is a beautiful, black and red female with a very sweet temperament. Ghurgha's pedigree is full of V/VA rated dogs. 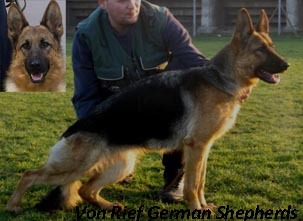 She is the granddaughter of 2x VA1 (world champion) Remo vom Fichtenschlag and the great granddaugter of 2x VA1 Vegas du Haut Mansard. Ghurgha is also the daughter of VA1 Fanny vom Jockhof. 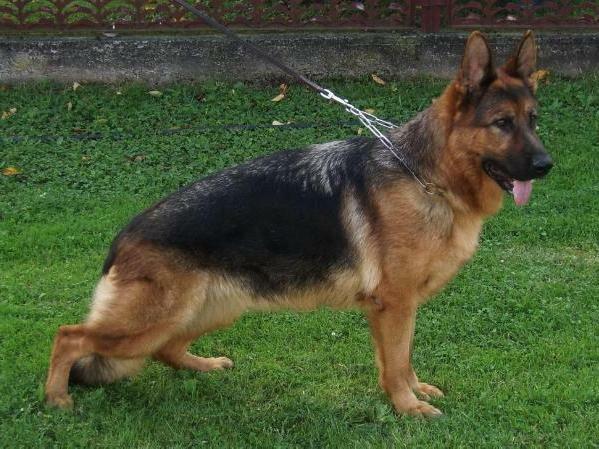 Ghurgha loves people of all ages and gets along very well with other dogs. She loves to play and please!! Ghurgha produces big, black and red puppies with excellent dispositions. She passes along her playful attitude and her healthy bloodlines. Ghugha's hips and elbows are rated A1/A1 , the highest possible German rating. She has been tested for degenerative myelopathy and is clear (DM clear) therefore she will not produce puppies that are at risk for DM. She has also has her OFA cardiac clearance.